[Click here to Get Started] or Call us at 800.664.9158 ! We have 99% Approval Rates! If we dont have a solution for you, nobody does. We can get virtually ANY type of business placed with a merchant account including high risk and highest/capped volume! We can help you with gateway reprogramming, terminal setup and programming/or reprogramming of your existing equipment. We offer our own payment gateway service with an easy to use, reliable, full featured interface, billing & invoicing system. FREE setup too! Simply call us or email us through our application form and we will work diligently to get you the best possible rate according to your business type and needs. Caution! Beware of other companies who have posted very low merchant account rates. The rates posted are often misleading at best. All merchants and companies are categorized based on risk levels, therefore no exact rate can be quoted until they know significant details about your business model,processing history if any and credit history. Dont be fooled or mislead. Small Business Friendly Years and years ago before we got started in offering merchant services, we actually used other merchant account companies and have been through all the hidden gotchas, the scammers, the ripoff artists. We're a small business based company looking to just provide you with the absolute BEST possible process in getting your company approved and up and running with visa & mastercard credit card processing. We Answer The Phone! Top notch customer service and response times. We will actively gather your information and get your account approved as fast as possible. Give us a call 800.664.9158 9-5 EST and watch us actually pick up the phone! Thousands of Business Need Merchant Accounts and Credit Card Processing Every Year. 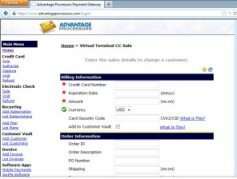 Over the years AdvantageProcessors.com has dealt with all types of merchant accounts, credit card processors, high chargebacks, low chargebacks. Business acceptance of credit cards is vital today for any business. Satisfaction Guaranteed On our Merchant Account Service We stand by our service. If at anytime you are not satisfied with the service you may cancel the process at anytime, penalty free. Please take a moment to be sure before you apply for your merchant account that you are ready to do so and ready to fill our forms necessary about your business ventures.